1. Each résumé is getting less eyeball time. In fact, 40% of HR managers say they spend less than one minute reviewing each application or résumé. 2. Applicants are ramping up the creativity to grab your attention. “We see more people using infographics, QR codes and visual resumes to package their information in new and interesting ways," says Rosemary Haefner, VP of HR at CareerBuilder. And that creativity leads to a lot of home runs ... and some dramatic strikeouts. 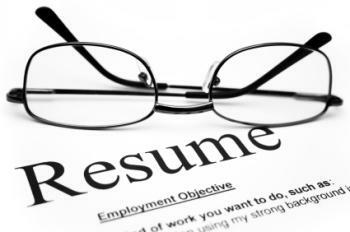 A CareerBuilder survey of 2,300 hiring managers released today provides real-life examples of résumés that stood out for the right (and wrong) reasons. Candidate’s résumé included phishing as a hobby. Candidate’s résumé was decorated with pink rabbits. Candidate listed “to make dough” as the objective (person was not applying to become a baker). Sent his résumé in the form of an oversized Rubik's Cube, where you had to push the tiles around to align the resume. He was hired. Had been a stay-at-home mom and listed her skills as nursing, housekeeping, chef, teacher, bio-hazard cleanup, fight referee, taxi driver, secretary, tailor, personal shopping assistant and therapist. She was hired. Created a marketing brochure promoting herself as the best candidate. She was hired. While applying for a food and beverage management position, sent a résumé in the form of a fine-dining menu. He was hired. Crafted his resume to look like Google search results for the "perfect candidate." Candidate ultimately wasn’t hired, but was considered. The lesson: There's a thin line between genius and just plain weird. Give bonus points for creativity, but know the difference. Mandatory retirement: Is it ever legal?